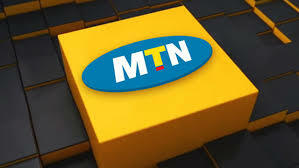 mtn affiliate program is one of the best affilate program on town now. Do you wish to make money from your MTN line? If yes then you arrived at the right place. mtn affiliate program is very good, one thing i like about them is their commission rate. Am talking out of experience, i have monetized my MTN line with MTN affiliate program. Am going to teach you how you can register, boost your earning and and other things but before then. Affiliate marketing is a process whereby you make money online or offline while selling or advertising other peoples product. Okay, now you have known what is affiliate marketing. Let's continue with MTN affiliate program. A menu will come out, just fill out the form and hit register. 2. Fund your MTN Account- before you can start making money from this MTN affiliate program you need to first of all fund your account. You must fund your account before you Start making money from MTN affiliate program. You must have a Gtbank account before you can be able to fund your account although MTN promised to add other banks in the future. If you don't have a Gtbank account i suggest you look for a friend to fund it for you. AFTER FUNDING MY ACCOUNT HOW WILL U START MAKING MONEY? I know you are asking this question on your mind, but don't worry because everything you need is here. After funding your account you are entitled to start selling airtime with your account. And as well earn 15% commission per any one you sold to your self.